We love React Native because it allows us to quickly ship mobile apps faster while maintaining a world-class mobile user experience. React Native avoids maintaining repetitive codebases: one for iOS, one for Android. Instead, developers maintain one codebase. We've achieved 80–90% code sharing across iOS and Android platforms, which translates to tens or hundreds of thousands of dollars in cost savings for our clients and a faster time to market. See our SplitFit case study where we released a cross-platform iOS and Android app in 8 weeks using React Native. With about 80 designers and developers at thoughtbot who have years of experience building user interfaces for the web, this is a familiar toolchain with a shallow learning curve. It also means a smaller team can work on the mobile apps, web app, and API to the mobile apps. With more context across the platforms, they can be more productive, and you can lower your costs. React Native outputs components that run as native views, a major benefit over alternative solutions like PhoneGap or Cordova. We've been pleased with the performance and feel of our final products. At thoughtbot we try to balance the best of both worlds. We offer small, in person teams in week-long sprints. Our developers will be totally dedicated to your project. At the same time, you hire thoughtbot not an individual, and can draw on our experience and expertise with 700+ clients, 13+ years, and 100 people for backup, advice, and code review. 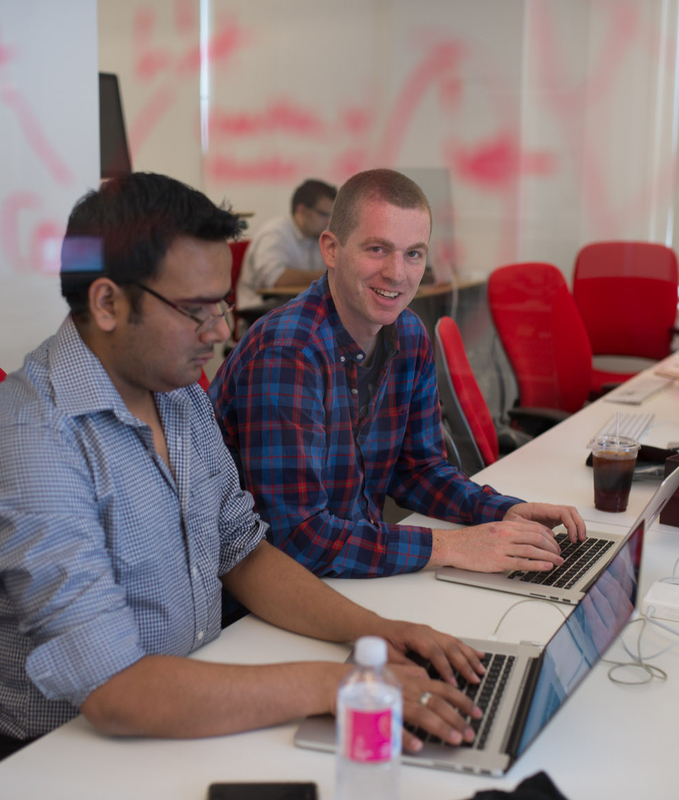 We are open source leaders passionate about software craftsmanship and building great apps. Reach out and let’s see how we can help your next project thrive.